The summer after college, my parents and I went on a week-long vacation to Costa Rica. 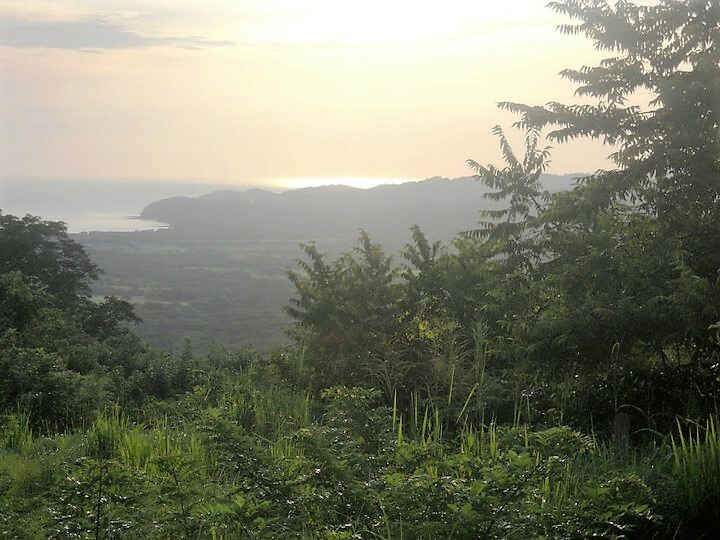 Instead of flying into the capital San Jose, we went to the little-known Guanacaste region in the Northwest corner of the country. 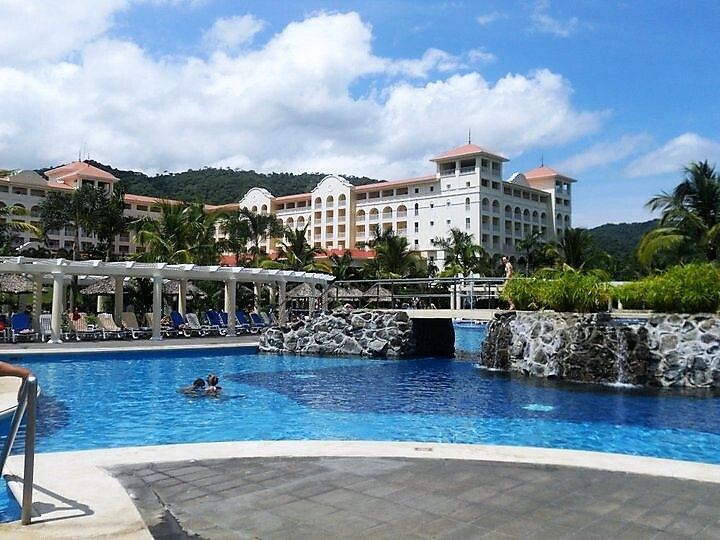 The resort we stayed at, the Hotel Riu, was beautiful. 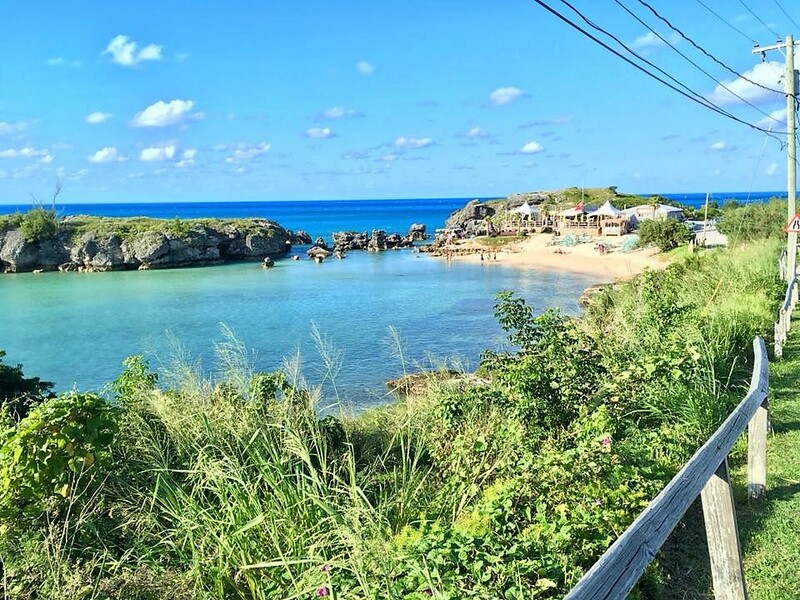 Its grounds offered multiple restaurants, at least three pools, and a long private beach. The typical resort activities were available, such as water aerobics in the pool and water sports on the ocean. 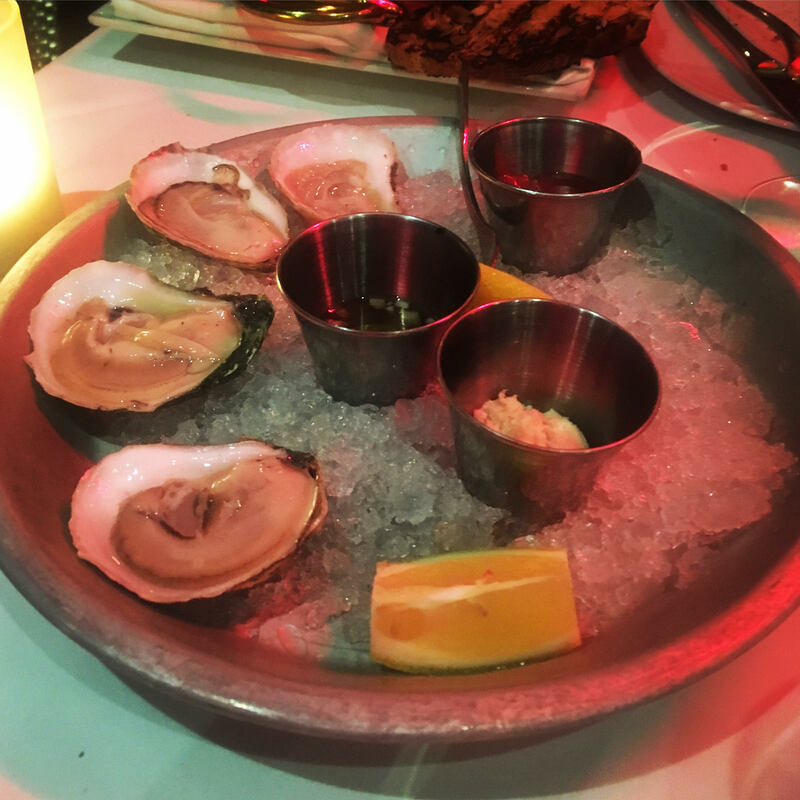 There was more than enough to keep my family occupied for our entire week’s stay, especially with our off-site day-trips. These were the circumstances under which I suggested to my parents that we drive to Nicaragua for an afternoon. It was our first full day of vacation: we had spent the morning lounging by the pool soaking up the sun. When the daily tropical rainstorm hit, we headed under cover for lunch. At that time, we discussed what we might do for the afternoon. I had seen on our map that we were only about an hour from the Nicaraguan border. At the rental car company, there had been advertisements for day-trips to a Nicaraguan town just over the border. Given my desire to visit every country in my world, this seemed like my chance to pick up Nicaragua. To my surprise, my parents said “ok” and after lunch we were on our way! For our vacation, my parents rented a car. The roads were what you would expect in a developing country: unpaved, no street lights, and not offering great directions. For example, our resort was on a road off of “Monkey Way”. The rules of the road were no different. Drivers traveled as they pleased and if someone was going too slow in front of you, you drove on the other side of the road to get around them (but not necessarily in designated areas as in the United States). 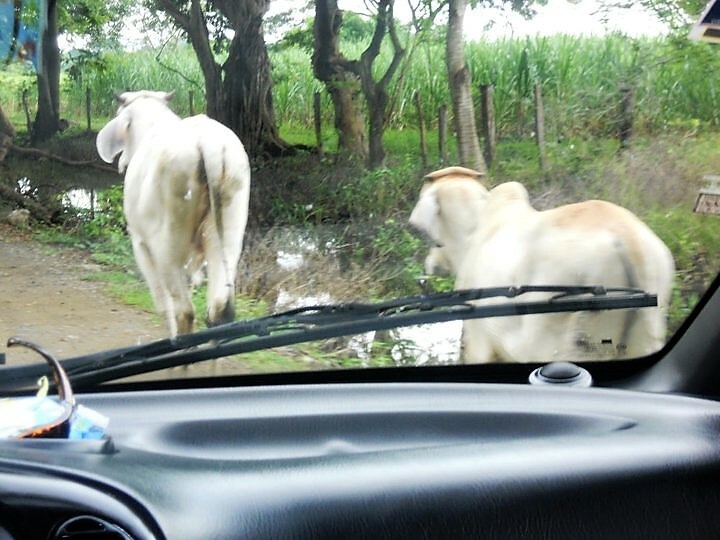 We often found ourselves driving around cattle roaming the streets rather than cars. At one point our GPS sent us down a flooded road in the middle of the rain forest where there was no room to turn around and avoid the deep puddle. 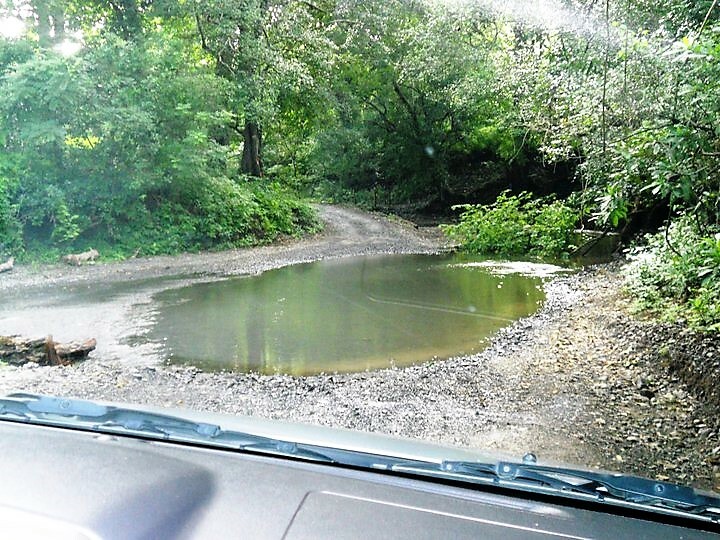 Giant puddle in the road where our GPS had brought us- luckily we had a 4-wheel-drive that could get through it! To get to Nicaragua from the Riu, we traveled back through the town of Liberia into which we had flown, then headed North on Route 1, the Inter-American “highway”. This two-lane road is the main through way on the West side of Central America. Therefore, it is filled with 18-wheeler trucks transporting goods between countries. The trucks themselves did not cause any issues while traveling along the road. However, from what we could tell, the customs inspection site at the border took time for trucks to get through and closed early in the evening. 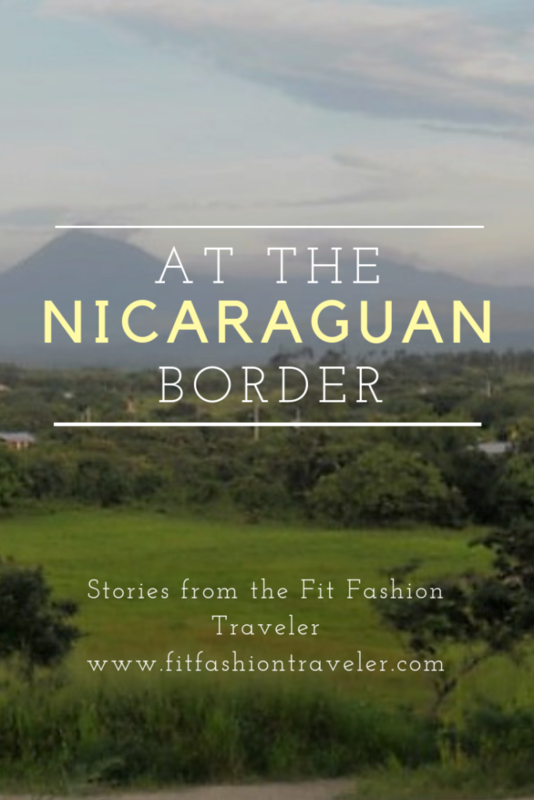 This meant that about ten miles from the Nicaraguan border trucks that would not make it through customs that day pulled over to spend the night on the side of the road. The drivers even had hammocks they hung under their trucks to sleep in! When we approached the first few trucks that had pulled over, we were unsure why there was such traffic. Then we saw a car in front of us pull out of the lane and drive down the opposite lane! Assuming this was the proper thing to do – drive the wrong way towards potentially oncoming traffic – we pulled out and did the same thing. It seemed like a great plan until the car in front of us quickly swerved back towards the trucks parked on our side of the road, unveiling another giant 18-wheeler coming in our direction! We quickly moved back into our lane best we could to let the truck go by, narrowly avoiding being smashed. A few minutes later we made the same maneuver to the other side of the road halfway into a ditch. As I said earlier, there were no real rules of the road in that part of Costa Rica. No one else seemed surprised to find cars driving on the wrong side of the road up the highway. My parents and I finally arrived at the border unscathed. The border area between Costa Rica and Nicaragua is unlike that of Western nations. For example, between the U.S. and Canada there are toll booth-like stations on the road with immigration officers manning them. When you leave the U.S. and enter Canada, you stop at the booth, speak with the Canadian immigration officer, show him your passport, and proceed into Canada. The same occurs on the way back into the U.S. 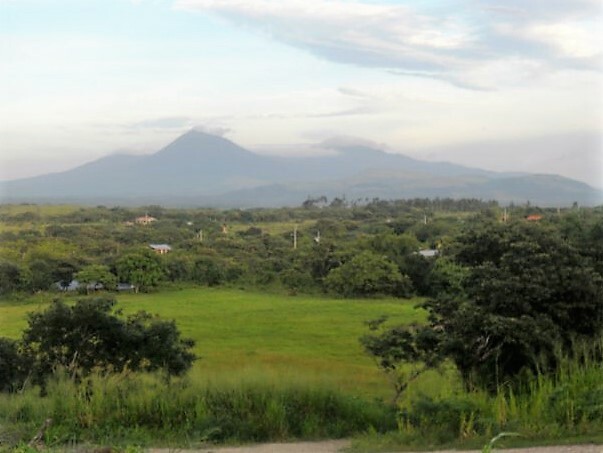 Between Costa Rica and Nicaragua there are two large buildings about 100 meters apart. You stop first at the Costa Rican building. 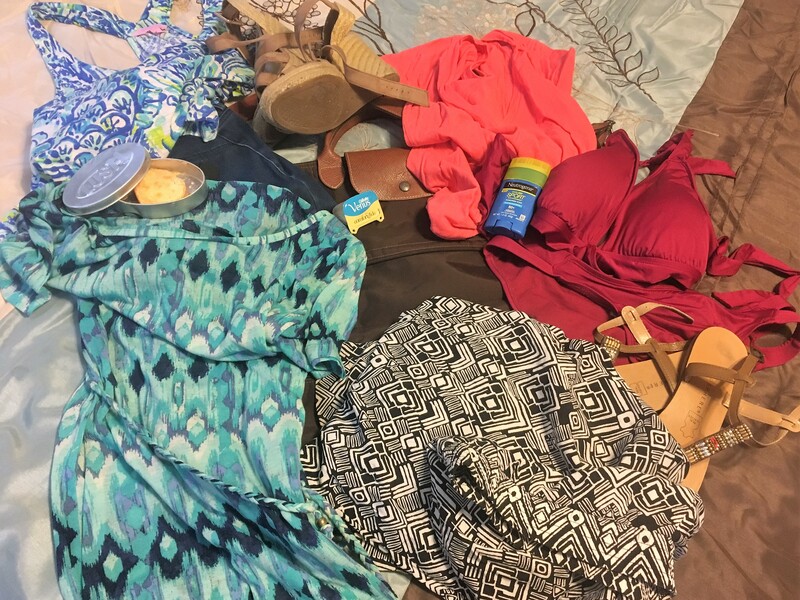 As soon as we parked our car outside the building, it was surrounded by five Nicaraguan teenagers in brightly-colored Abercrombie t-shirts. At the time, I “spoke” some Spanish, and my parents spoke none. I did not completely understand what the teenagers wanted other than to exchange money with us. I tried to make them go away so we could enter the immigration building. They were rather aggressive in their desire to take our Costa Rican colones and give us Nicaraguan pesos in return. 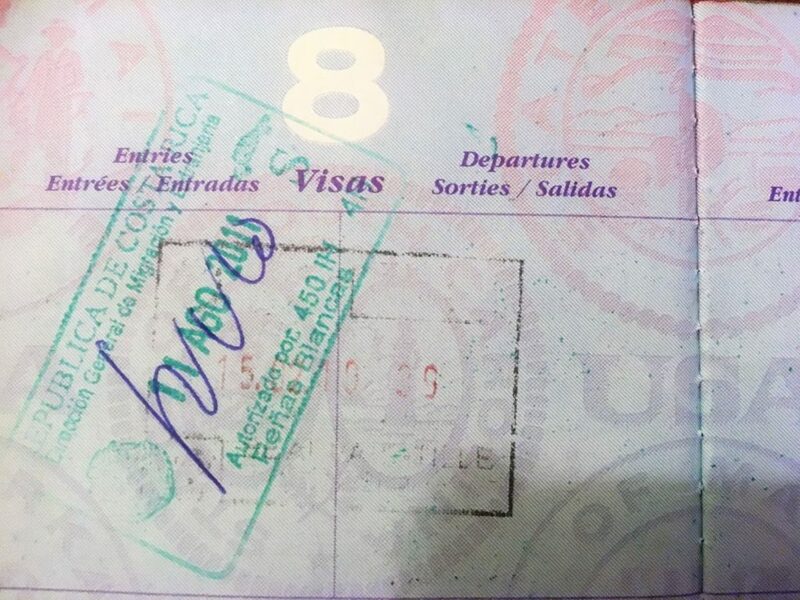 This experience was unsettling to my parents, so my dad and I left my mom with the car as we entered the Costa Rican immigration building with our three family passports. Inside the building there were a dozen of what looked like bank teller counters. One lone immigration officer sat behind one of the counters. We approached him with our passports, and I managed to convey that we were going to Nicaragua for the day. He did not understand why we were two people but had three passports with us. Finally the officer accepted that my mom was outside with our car and gave us the three “exit” stamps. As we left the building the Nicaraguan teenagers we waiting for us, again trying to exchange money. They also tried to say something in broken English about leaving our car behind, but we definitely weren’t about to do that. About 30 meters past the Costa Rican immigration building, we decided that maybe this day trip wasn’t such a good idea after all. At this point, we were in the 100-meter stretch of land between Costa Rica and Nicaragua. We had exited Costa Rica, but had not yet reached the Nicaraguan immigration building to enter Nicaragua. We made our U-turn in this area and started to head back. Then I realized we had exit stamps in our passports. If we did not rectify the situation before returning to our resort, we would raise red flags at the airport later when we tried to leave the country without valid entry stamps. 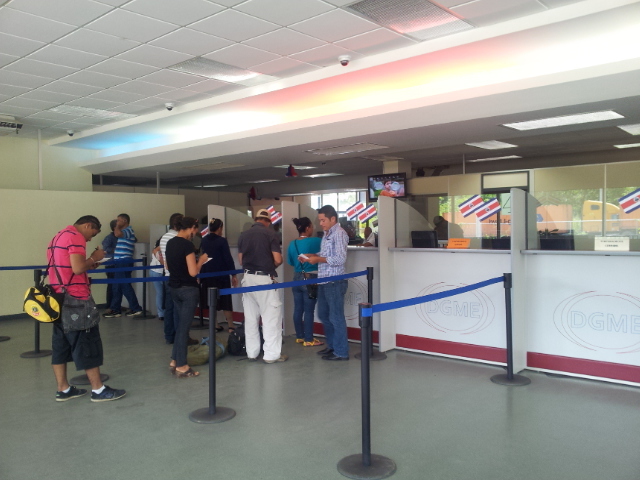 This meant we had to return to the Costa Rican immigration building. The lone immigration officer sitting behind the counter was not happy to see us back so soon. He said something like “I just let you out, what do you mean you want to come back already?” We were clearly interrupting his alone-time, since his checkpoint was nowhere near busy. Instead of just giving us entry stamps again, the immigration officer made us make copies of our passports in another building before he voided our exit stamps. The only voided passport stamp I’ve ever seen! After about an hour at the Costa Rican border, we were on our way back to our resort. We were happy to get back and sit by the pool with a few drinks when we returned. Later, we learned that it is illegal to bring a rental car from Costa Rica across country borders. The car could have been impounded and my family and I thrown in jail or fined! It’s a good thing we never made it to Nicaragua: I will have to add it to my list another time.